NF Railway has detected 59124 cases of without ticket / irregular ticket passenger during the month of April , 2018 as against 50079 detected during the corresponding period of last year. An amount of Rs. 4.08 crs was also realised from without ticket / irregular ticket passenger as fine / penalty during April this year as compared to Rs. 3.32 crs of last year. The increase in earnings is about 22.89 % and the increase in number of cases detected is about 18.06 % more in comparison to same period of last year. It may be mentioned here that, NF Railway officials have been conducting surprise ticket checking drive in Mail Express and passenger Trains to ensure eradication of ticketless travel and also to provide comfortable journey to genuine passenger. As per section 137, of the Indian Railway Act of 1989, travelling without ticket, improper ticket or un-booked luggage in an offence punishable by imprisonment or fine or both. 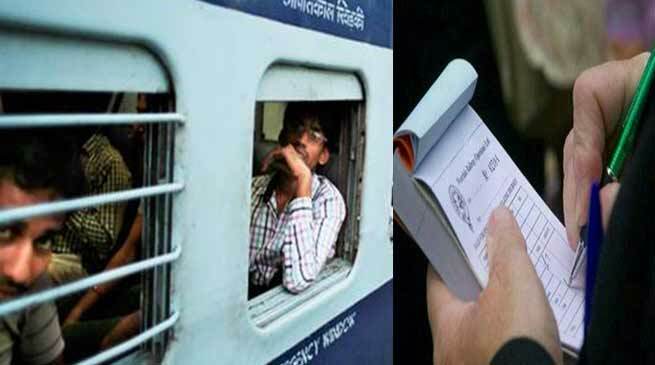 To discourage ticketless travelling, Northeast Frontier Railway has also put systems in place whereby surprise ticket checking drive is conducted by Flying Ticket Checking Squads of Divisions as well as HQ. Fortress checks are also conducted in stations. For this officers are nominated at HQ and Divisional levels from different department who are accompanied by security personal from Railway Protection Force and Govt. Railway Police.